When you borrow money and agree to pay it back according to the creditor’s terms, it’s in your best interest to follow through. Yet, sometimes people find themselves in situations where they are either unable or unwilling to pay those debts, and this can turn ugly. While creditors and debt collectors may take legal actions, they’re also subject to time limits with respect to using litigation as a debt collection tool. Eventually, a defaulted debt will become time-barred, which means you can no longer be sued as a method to collect. At this point, the debt becomes what is informally referred to as “Zombie” debt. Knowing your rights may help protect you if a debt collector ever tries to resurrect your old debt and threatens to sue you. If you fall behind on paying a debt there are many actions a lender may take to compel you to pay them. They will likely report you to the credit bureaus and your credit reports can easily be damaged by the negative credit reporting. Your debt may ultimately be sold to a third-party debt collector, an extremely friendly sort that will call you daily asking you for money. And, in the worst case scenario, you may even be sued for non-payment. If you avoid paying your bills long enough your creditor will likely “charge off” the debt. This is an accounting move done for their tax purposes and does not mean the creditor suddenly feels generous and has decided to forgive your debt. You still owe it. And, if a charge-off notation is added to your credit reports, there’s a good chance it may damage your credit scores. When defaulting on a debt, your creditor will likely “charge off” the unpaid balance for internal tax purposes, resulting in a damaged credit score. Another move creditors may use when you default on your debt is to sell your remaining balance to a collection agency or debt buyer. If this occurs, the “collection” account may show up on your credit reports in addition to the original charged off account. This is perfectly legal. When your credit reports have been damaged by derogatory debt, it can be difficult to convince new lenders to trust you in the future. If you do manage to qualify for new financing, you may be required to pay higher interest rates, fees, and monthly payments. And, this is when the debt collector or creditor starts looking at litigation very seriously as an option. Being familiar with these two clocks can help you respond if a debt collector ever contacts you about an old debt in the future. Keep in mind, however, that the credit reporting and “get sued” clocks are NOT the same and have nothing to do with each other. This is a common misconception in the credit reporting world. Federal law places a time limit on how long negative entries can remain on your credit reports. Per the Fair Credit Reporting Act, most derogatory entries on your credit reports must be removed after seven to 10 years. This applies to almost every single derogatory entry on your credit reports, including late payments, judgments, tax liens, bankruptcies, repossessions, foreclosures, and collections. 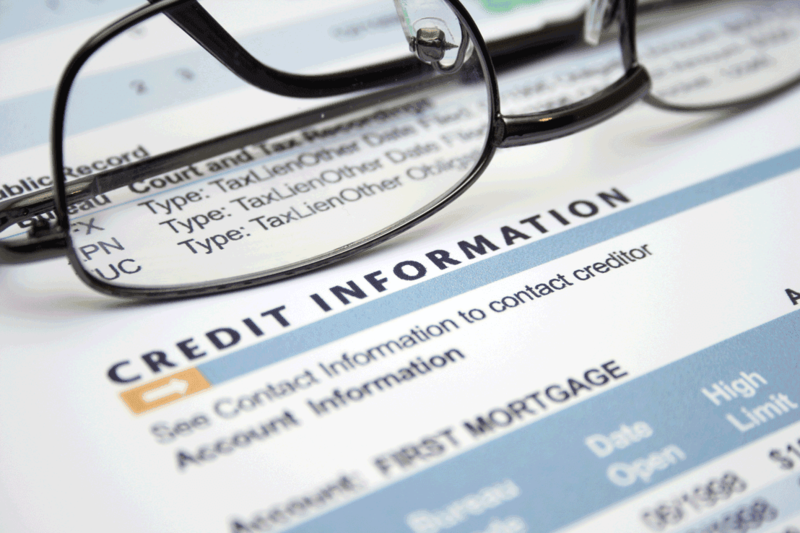 There are some items that are legally allowed to remain on your credit reports longer than 10 years. Federally guaranteed student loans that are in default can remain longer than 10 years and unpaid tax liens are also allowed to remain longer than 10 years, although the credit bureaus no longer report tax liens as a matter of policy. 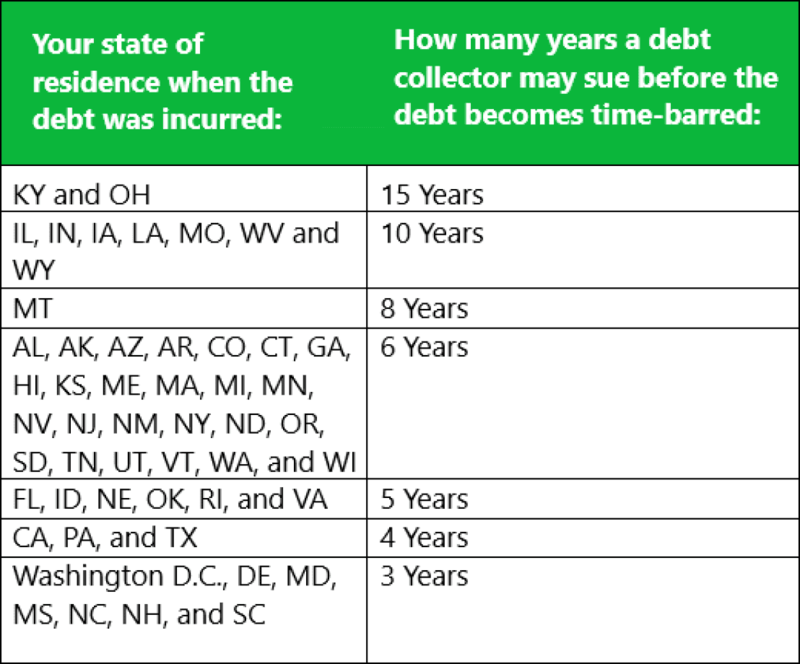 Debt collectors have a limited number of years to sue you to collect defaulted debts. Once a debt is too old for you to be sued over, it’s referred to as “time-barred,” or a zombie debt, and you cannot be sued for collection purposes. The following steps can be helpful if you’re ever contacted about an old debt. 1. Ask for information about the debt to be sent in writing. You should be very careful about what you say when you speak with a debt collector over the phone. If a debt collector gets you to verbally acknowledge that a debt is yours, you could potentially and accidentally restart the time-barred clock. Another way a debt collector can get you to restart the clock is by convincing you to make a partial payment, often referred to as a “good faith” payment. In some states, even a promise to pay is enough to reset the clock. One final note, if you owe a debt the only thing you can do to stop collection efforts is to either pay it, settle it, or file for bankruptcy protection and discharge the debt. Collectors can call you and write you letters forever as there is no time limit on attempting to collect debts that are actually owed. As we’ve identified, their options become limited over time, but you still owe the debt even if it’s many years later.